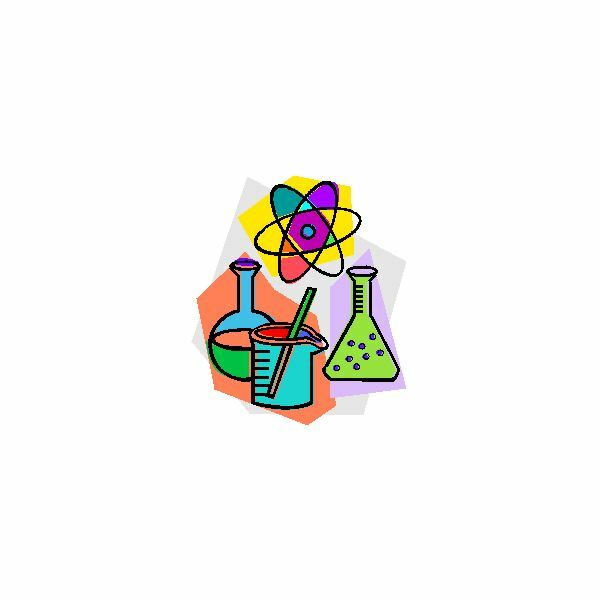 1.Students will acquire a knowledge of what scientific “matter" is and how scientists study matter in scientific inquiry to understand our world and the universe. 2.Students will understand the difference between physical properties and chemical properties of matter. 1.Students will understand what the scientific term “matter" is. 2.Students will understand the three basic forms of matter. 3.Students will be introduced to the difference between physical properties and chemical properties of substances. 4.Students will understand density, hardness and brittleness of solids. 5.Students will learn about Friedrich Mohs and the Mohs scale of hardness. a. Something that occupies space and can be perceived by one or more senses; a physical body, a physical substance, or the universe as a whole. 2. Solid one of the three physical forms of matter, having a solid shape and form, not liquid or gaseous. 3. Liquid a substance(one of three physical forms of matter) which flows easily and is not solid or gaseous. 4. Gas a substance (one of three physical forms of matter) which is completely fluid and has no definite shape or volume. 5. Element basic chemical substance, e.g hydrogen, oxygen, (in specific combinations form compounds). 7. Chemical a substance formed by reactions betweentwo elements. 8. Chemical properties a property used to characterize materials in reactions that change their identity. 9. Substance a chemical substance is a material with a specific chemical composition. 10. Freidrich Mohs an Austrian mineralogist who invented the Mohs scale of relative mineral hardness. 11. The Mohs Scale a measurement scale of 10 common substances ranked as to how “hard" they are. 12. Plasticity the capability of being formed or molded; the quality of being plastic. 14. Hypothesis hypothesis is an explanation which can be tested in some way which ideally will either proves or disproves the hypothesis. It is a scientific question that we ask about a problem or a scientific phenomenon that we then attempt to find an answer to by conducting scientific experiments. 15. Experiment conducting scientific tests in an attempt to prove or disprove a hypothesis. Basic Description of the Three Forms of Matter from McDaniel.edu. What Is Matter? The Rookie Read About Science Book by Don Curry. pdf. Handout: What is Matter? from The Thomas Jefferson National Accelerator Facility Facility – Office of Science Education. Who Was Fredreich Mohs and the Mohs scale of hardness. Session 1: 30 minutes: Discussion and introduction of matter. Student will discuss what they think they know about matter with leader/teacher. Students will be directed to check out the website describing basic matter in its three forms: liquid, solid and gas. Have students make a chart on paper with the three headings of liquid, solid and gas and begin to list items that fit those categories. Prompt as needed.Provide students with the book: What is Matter by Don Curry. Have students read from the book in silent reading time. Ask them to find items that are solid to be tested in session three for hardness and brittleness, plasticity. Provide students with vocabulary handout listing the words to be learned and ask them to look up the meanings in the dictionary as “homework". Review vocabulary words to see if students have discovered the correct definitions. Discuss the terms as needed, offering explanations and examples. Offer the following information in lecture form during the discussion. 1. Is is liquid, solid or gas? 3. Is it a powder or crystal? 4. Can it be stretched or bent? 5. Does it break rather than bend? Chemical properties are the way chemicals react together and are not as easy to see as physical properties. But when you add heat (the oven) the mixture changes into something completely different than the original ingredients. This is what happens when we begin to study chemistry and learn how various elements combine together to create completely different substances. Some of these are hard to see. They occur as a microscopic level. Homework or additional study before session three: Students should take their list of substances and for the items that are solid, have them answer the physical properties questions. Note to them that some of the questions like how hard is it or how heavy require them to experiment on the item, which is what we will do in session 3, when students will learn about physical properties of plasticity and hardness. Collect test solids ahead of time and have students gather or bring test solids to session three. Make sure all students have protective goggles and have been given good safety instructions. Review physical properties list and then explain that today they will test some of their items to discover facts about two physical properties; plasticity and hardness. Some substances are hard but will still break easily. Some are very difficult to break but they may bend or squash together. Some substances won't bend or squash and in fact will crack if it too hard. These substances are called brittle substances. Our first experiment today will be to test to see how brittle some of our solids are. Next we will test how hard some of our items are. We tend to think of something as being soft or hard, but all substances have different degrees of hardness. Friedrich Mohs came up with a scale by which substances can be rated for their hardness. On his scale, each substance (mineral) on it can be scratched by the one above it and can scratch the one below it. Give students a handout of the Friedrich Moh mineral hardness scale from the materials and resources section in the lesson plan. Go through the basic concepts of hardness and the Friedrich Moh scale. If you are able to find some of the items on the scale to test you can use them. But if not a penny, a nail, talcum powder, a knife, modeling clay, and other items they find can be used. 2. Instruct students to use their fingernails to scratch the talc powder. Obviously they will be able to scratch or crush the powder up with their finger. Lowest on the scale of hardness for a solid. See if they have any other items that can be scratched by a fingernail. (perhaps a wooden spoon will show a scratch) Wood scratches easily on the scale of hardness. 3. Have them take a nail and then attempt to scratch some of their other items. Some items like the clay will tear apart, some items like the stone won't show a fingernail scratch or a wooden spoon scratch but might show a small scratch by the nail or might not depending on the “hardness" of the stone used. 4. Try to find some sample mineral stones like crystal, quartz, and of course a diamond. Have students label the properties of matter for each of the items they tested and construct their own list of hardness with what they believe to be the softest items first, and then moving up through to the hardest. Have them note which items had the most plasticity and which were brittle and easily broken or scratched. Students will have a vocabulary quiz on the terms. Students will turn in a lab report that sums up the physical properties of matter, including hardness and plasticity on a list of 5- 10 of the test items from the experiment.